Blue Ivy and Rihanna stole the show, tbh. 1. Katy Perry celebrating Chance the Rapper's win. 2. These two people getting completely owned by a strobe light during The Weeknd's performance. 3. 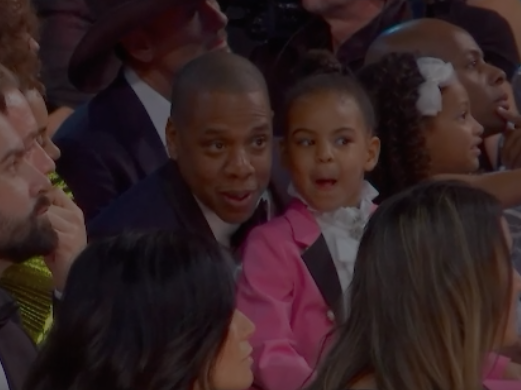 Blue Ivy and Jay Z having what looks like a riveting convo. 4. 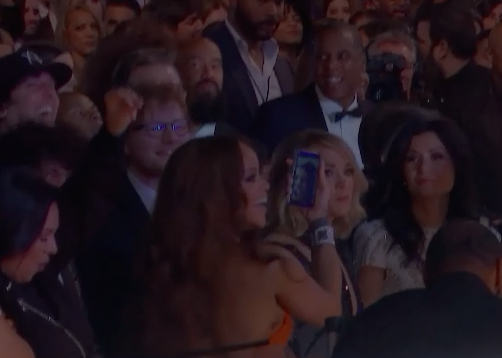 Halsey singing along to Ed Sheeran. 5. This lucky gentleman getting a high-five from the one and only Rihanna. 6. 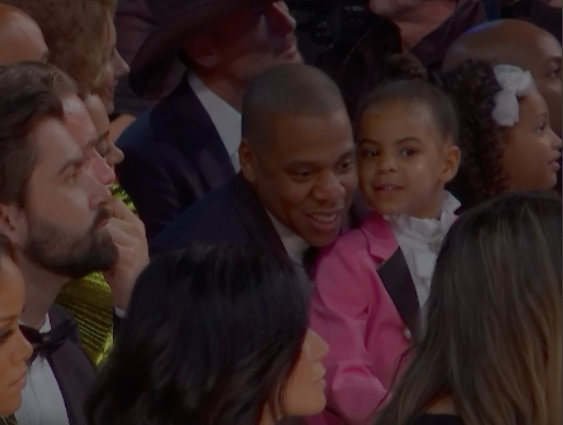 Jay Z givin' Blue's nose a pinch. 7. 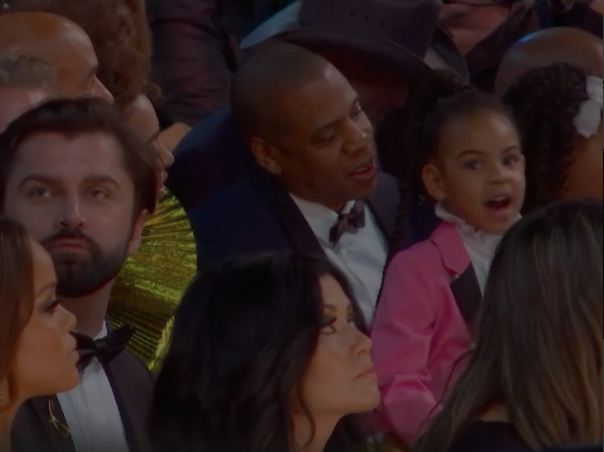 Annnnnd Blue Ivy cheering for her mommy! 8. Nick Jonas nailing the "ba ba ba" of "Sweet Caroline." 9. Keith Urban being pleasantly surprised at Maren Morris's win. 10. DJ Khaled working on a Snap, probably. 11. The audience getting *really* into Metallica and Lady Gaga's performance. 12. Carrie Underwood getting her head bop on. 13. 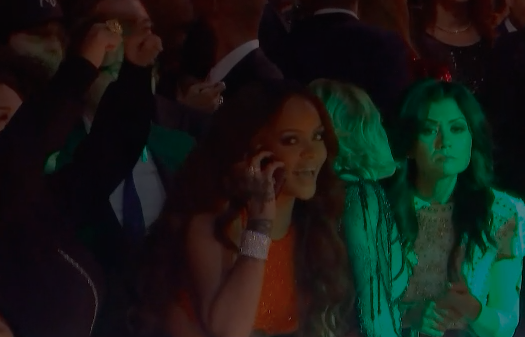 Rihanna getting her everything on during A Tribe Called Quest's performance. 14. 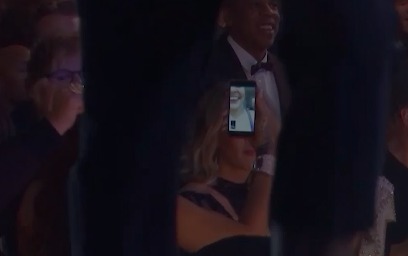 Also, she was FaceTiming someone! 15. Oh, and she and Beyoncé blew kisses to each other. 16. AND she brought a flask with her. A bedazzled flask. Let's end on the flask.